The H. Diplomatic Corps and International Body service office at the AICM, part of the General Protocol Directorate, has the primary function of serving members of H. Diplomatic Corps credentiale by the Mexican government, who must have Airport Identification Cards (TIA) to enter the different parts of the AICM. Keep the General Commandership of QUITAR THE AICM informed on the requests for Airport Identification Cards activation for accredited diplomatic officials, and comply with the established security procedures. Through General Protocol Directorate, report to the AICM Public Relations Management on the requests of different foreign diplomatic missions in Mexico, as well as the use of Official Rooms for the reception and farewell of high foreign officials. Verify the collection and delivery procedures of the diplomatic pouches with the Sub-directorate of Security and with AICM Identification Management, respectively. In order that services be properly provided to the H. Diplomatic Corps in the airport, requests for help must be submitted to the General Protocol Directorate by Note Verbale, on business days and at least 48 hours before the date and time that service is needed. When the request regards summits, international meetings, symposia or forums, the request must be sent at least 72 hours in advance. Timetable: Monday to Friday from 09:00 to 18:00 hours. Groubd Floor, Office 54, between International Arrival Halls P and N.
Ambassador Juan Carlos Lara Armienta (Current). Director of the H. Diplomatic Corps Service Offices at the AICM. 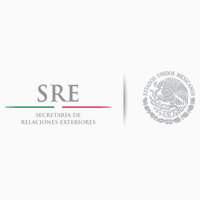 Collaborating with Regional Immigration Suboffice and Mexican diplomatic and consular representation abroad for the correct admission of foreigners, as well as providing essentials to the SRE Consular Affairs and Protection General Directorate for improved expediting of immigration and consular documents. Phone: +52 55 2599-0712 y 3686-5100 ext. 4716. Assistant to the Regional Immigration Suboffice, in the airport, reviewing immigration and consulate documentation expedited by our diplomatic and consular representatives abroad for foreigners wishing to come to Mexico for any activity considered in general public law. Person in charge and Location. those who obtained citizenship after March 20, 1998, or those who obtain their declaration of Mexican nationality. Verify if foreigners require a consular visa to enter Mexico and if they have followed this procedure at the Mexican embassy or consulate. Keep the immigration form you have been given together with your visa (if needed), since you must present both documents to Mexican immigration authorities.